Facebook has been continuously updating its Messenger platform. 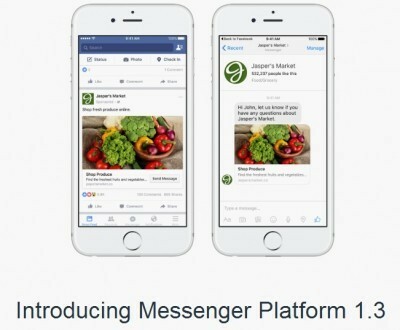 After adding end-to-end encryption and video and voice calling feature, the social networking giant has now launched the latest Messenger version 1.3 along with ‘sponsored messages’, Messenger’s first ad services. Aiming to provide advertisers more tools to reach out to people, the latest update will let brands or advertisers message users or highlight their messaging bot. This basically means that once you click on the advertisement or the product in your News Feed, you will be able to continue the conversation without leaving the messenger platform. For those who are worried about their privacy, let us tell you, that these advertisers will send you messages only if you have previously initiated a conversation with them. Moreover, in case you don’t want to interact with brands, Messenger will also provide you the option to block them. With the latest update, advertisers can take advantage of more than one billion users of Messenger platform, only if they are willing to spend money. Along with the sponsored messages, Facebook claims the latest version will provide better bot search results, making it easier for users to find and discover bots. 1. With Reference Params, developers can add reference params to their m.me vanity link, allowing them to determine where their bot traffic is coming from. 2. Developers can also deep link someone into a particular bot experience. For example, if someone clicks on the m.me link from a particular section within a website, a developer can now send a message that references that section. 3. They can also leverage new list templates, which showcase information in an easy-to-digest list. 4. Lastly, they would also be able to add a checkbox plugin to easily allow customers to opt into a Messenger conversation with their business.